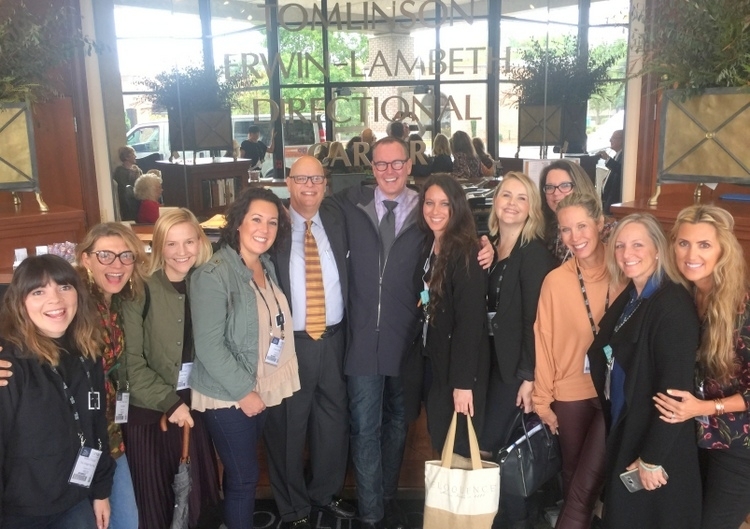 Still reflecting on everything I saw and learned at High Point Market this year, I wanted to share some of my favorite inspirations from the largest furnishings industry trade show in the world. 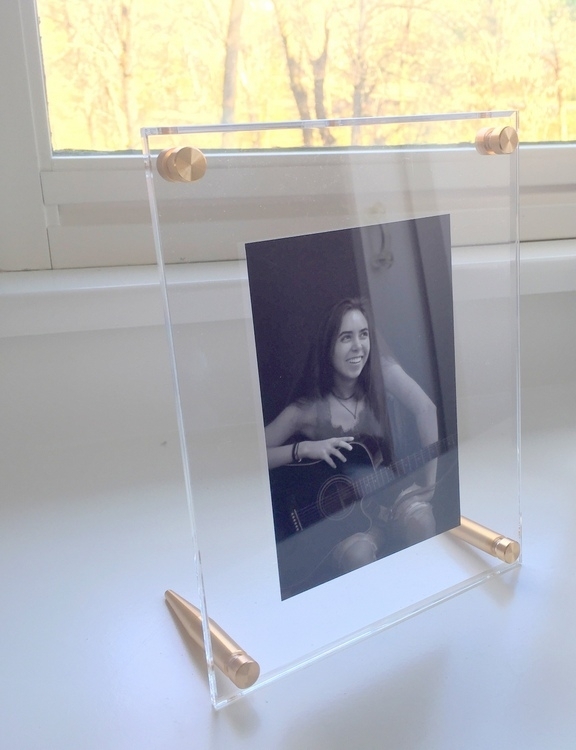 It now holds a photo of my beautiful high school senior (sob). 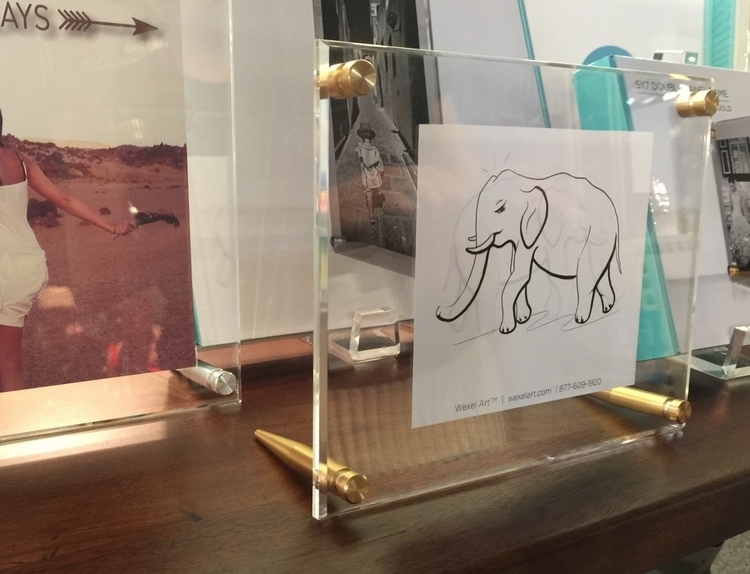 I love the flexibility of this frame – it can hold different size photos or an odd-shaped piece of art, can be used vertically or horizontally, and comes with rich gold or polished silver hardware (or course I chose gold)! You can find it here. 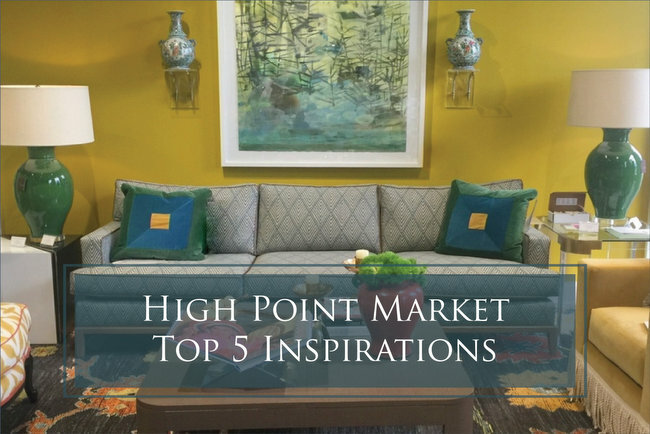 Although this was a hard call for me, I have to say the most inspiring furniture showroom I visited at High Point Market this year was Highland House. “Pretty is as pretty does,” and Highland House believes it – the quality and beauty of their newest collections wowed me, bigtime. 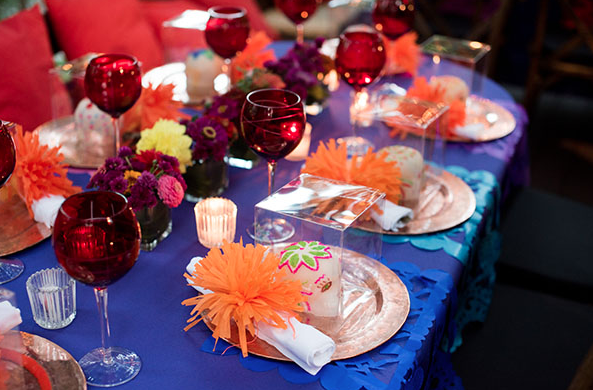 Their High Point showroom was unashamedly feminine, pushing the envelope with a riot of color and patterns. I honestly could have spent a whole day there, soaking up all the design inspiration. And it sure didn’t hurt that another of my top 5 was involved in this showroom, which leads me to my next favorite . . . 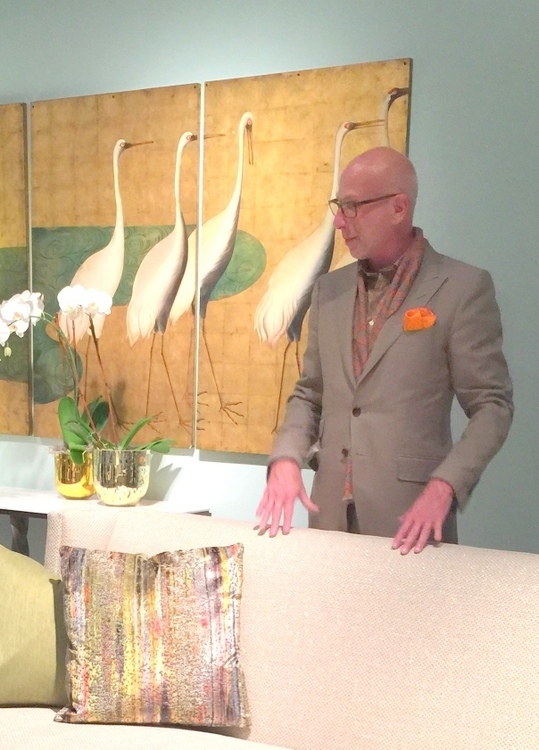 I cannot begin to tell you how impressed I was with the lovely and brilliant Randy Rubin, Founder and Co-Chairman of Crypton fabric company. 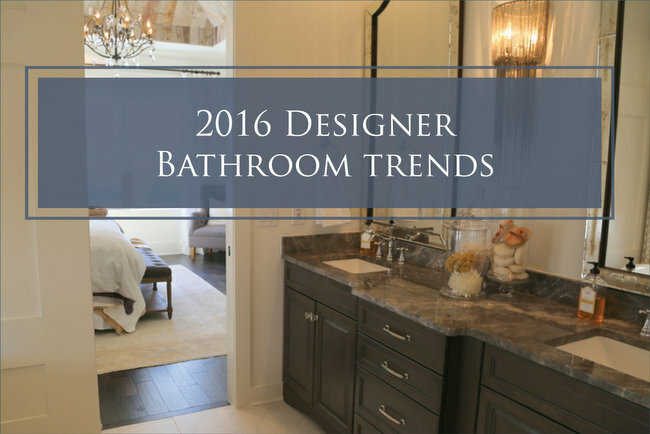 Crypton sponsored our tours of three fantastic furniture vendors that feature their fabrics – Duralee, Highland House, and Bernhardt. 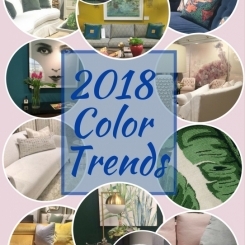 Soft, durable, and resistant to both stains and odors, Crypton Home Fabric is available in a surprisingly wide array of textures, colors, and patterns. But even more amazing is the story behind its success. Randy and husband Craig married in 1993 and the stars began to align for the birth of Crypton fabrics. The powerhouse couple united their lives and talents, spending the next 24 years developing the current incarnation of Crypton, which is well on its way to become a household name and the go-to miracle fabric for designers and homeowners everywhere. Randy Rubin was present and hands-on during all three tours, explaining the technology and the history of this miracle fabric’s development. She conducted stain tests for us to witness up close and personal, and I was blown away by her expertise and graciousness. She is one class act, and I think I want to be her when I grow up! 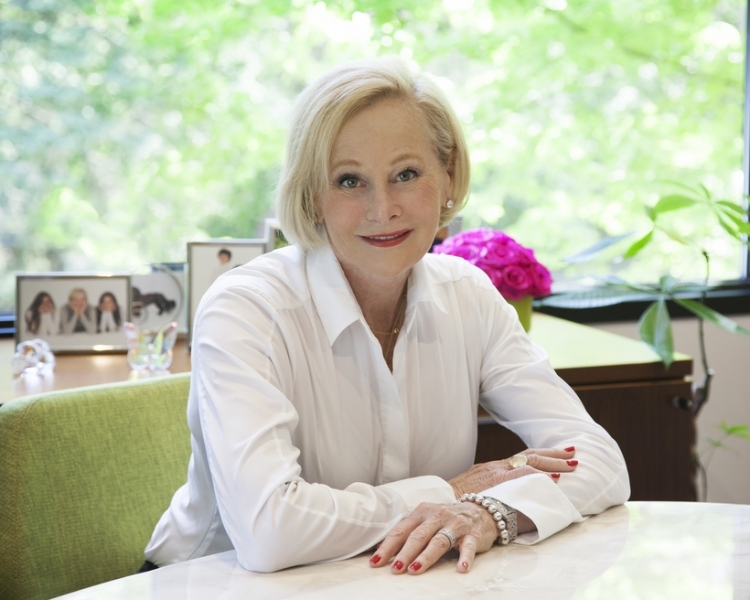 You can find out more about her backstory and the rise of Crypton in this great interview. 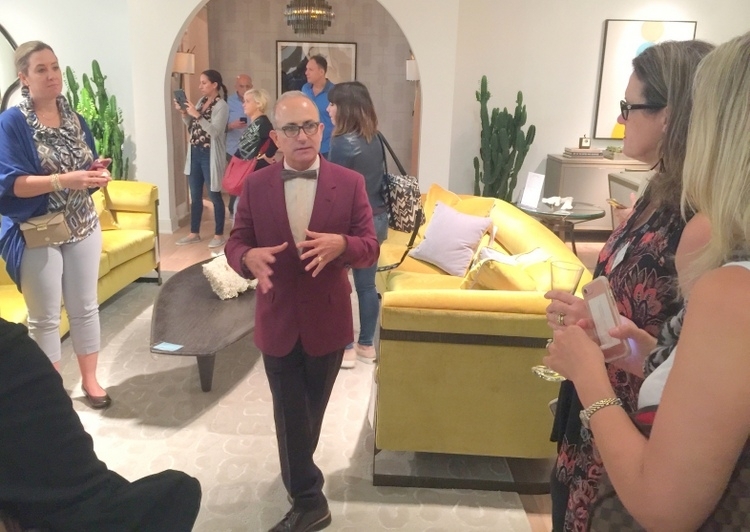 There are lots of parties during the week of High Point Market. 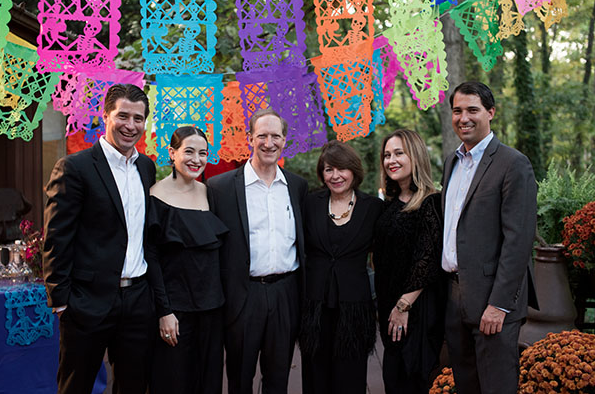 Family-owned Thompson Traders hosted a Dia de los Muertos (Day of the Dead) celebration for a few dozen designers. I was fortunate enough to be one of them! 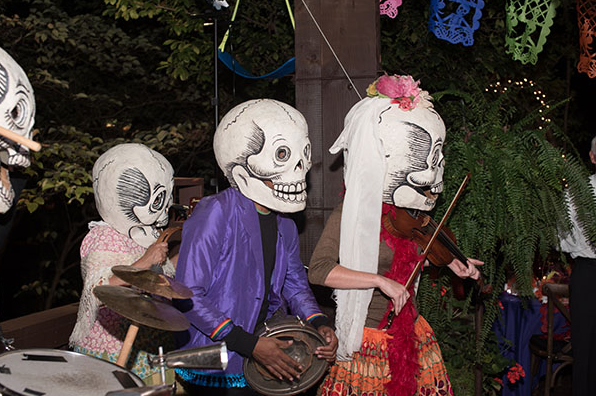 The Thompson family hosted the dinner at their personal home, sharing a part of their Mexican heritage with dancers, singers and even a costumed parade through their backyard. 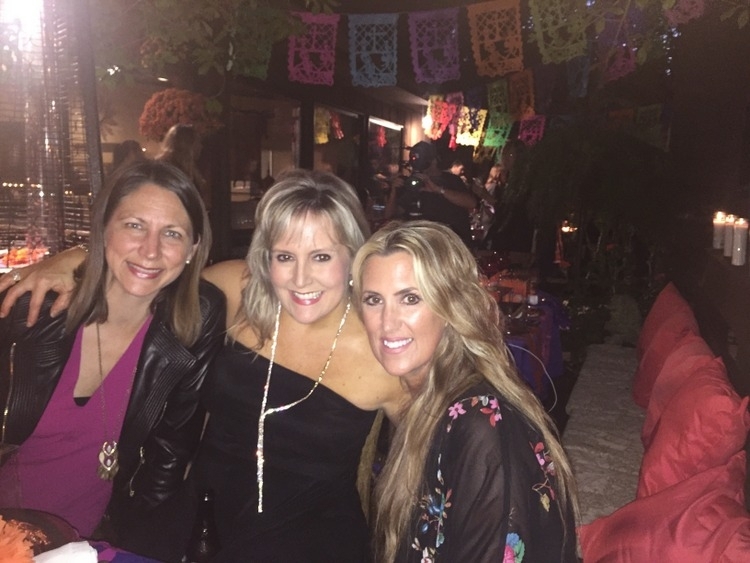 We were incredibly humbled to realize that Alejandra Thompson herself planned and cooked the entire authentic Mexican meal (with the help of a few of her oldest girlfriends), while the whole family served us throughout the entire evening. Alejandra Thompson’s dream of bringing the authentic beauty and craftsmanship of her hometown, Santa Clara del Cobre, to American homes became a reality over a decade ago when she and daughter Samantha took the bold step launching Thompson Traders, a company whose portfolio features Alejandra’s beautiful copper designs for the kitchen and bath. It was an amazing night that I will always remember fondly, and now I’m pretty sure I need a handcrafted copper tub from Thompson Traders . 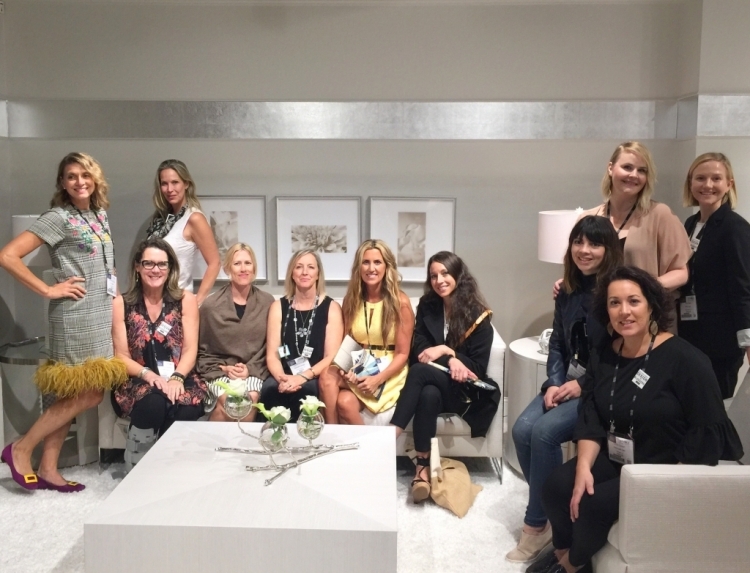 . .
One of the advantages of being on the High Point Market Blogger Tour was meeting some pretty fabulous celebrity designers and hearing their stories about collections they have created with big-name furniture companies. One of my favorite visits was with Michael Berman, who shared his amazing line with Theodore Alexander that draws heavily on art deco and class automobile design. 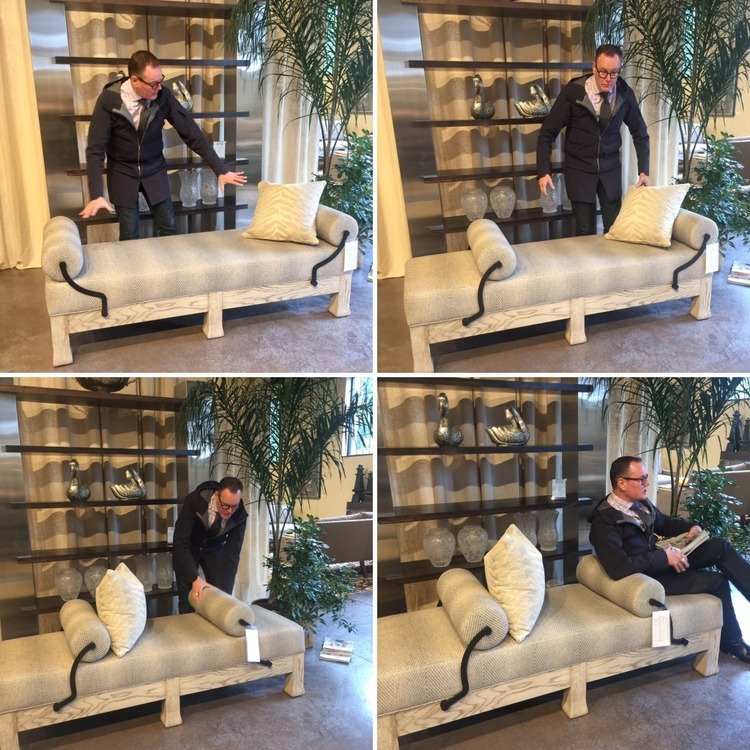 Our tour of Tomlinson Furniture was a delight, with a complete guided tour with designer Barry Dixon and owner Rod Lambeth. 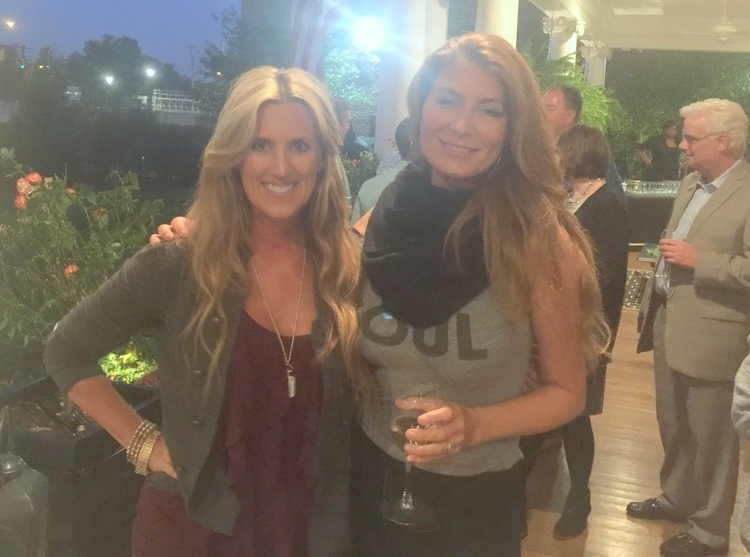 I also met up with Genevieve Gorder of Trading Spaces and Hello, Genevieve fame at a party the very first night. Have you heard the news that Trading Spaces is coming back, with most of the original cast? It’s true, and Genevieve will be part of that! And then there was GUESS WHO? I unexpectedly ran into none other than Donnie Osmond while grabbing lunch at Coaster Furniture, and he was nice enough to let me snap a picture with him. 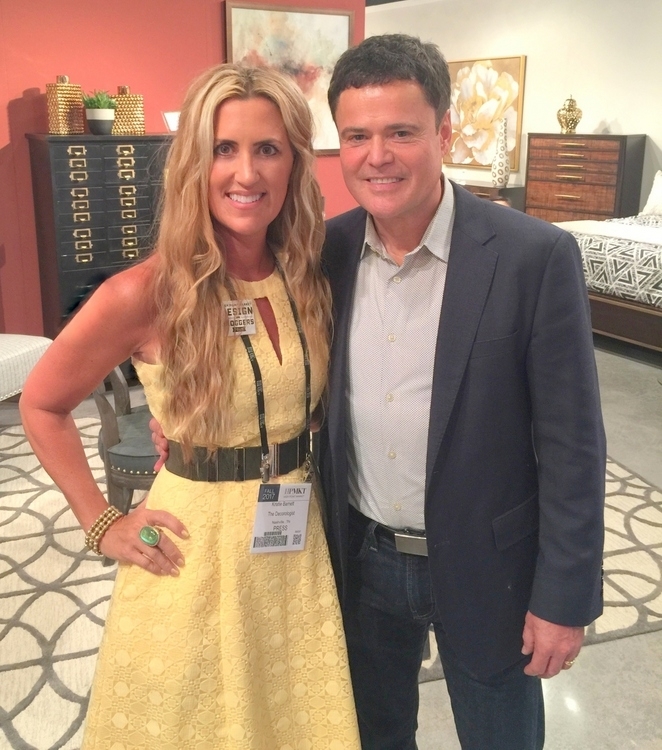 He has a furniture collection, Donnie Osmond Home, with Coaster. Good times. Now I need to finish up decorating for Christmas and start shopping for gifts. Have you done your holiday shopping yet? This post is sponsored by a group of High Point vendors, but the content is of my own choosing and solely my own opinion. 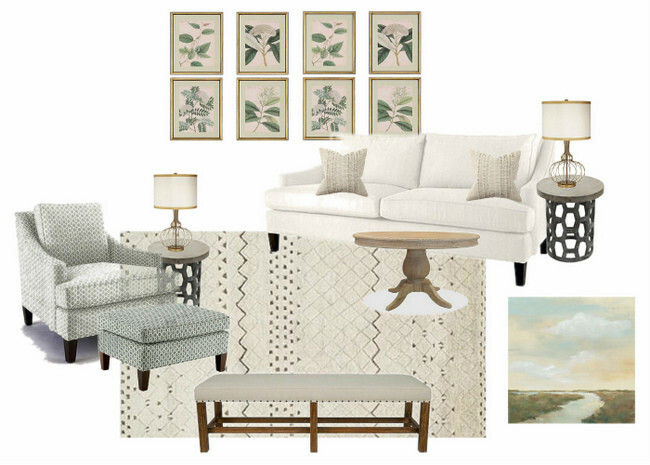 This entry was posted in Decor Addiction, Sponsored and tagged crypton, design, design bloggers, design hounds, high point market, highland house, randy rubin, wexel art. Mmmmmmm. Love highland house, I just wish someone locally carried the line. Thanks for the recap, it looks like fun. Are you referring to Nashville, Susie? Sprintz carries Highland House.